Rockin’ the Block: Just as fun as it sounds, this monthly concert series lights up Canal Park with live local jams, picnicking, and lite fair and beverages. 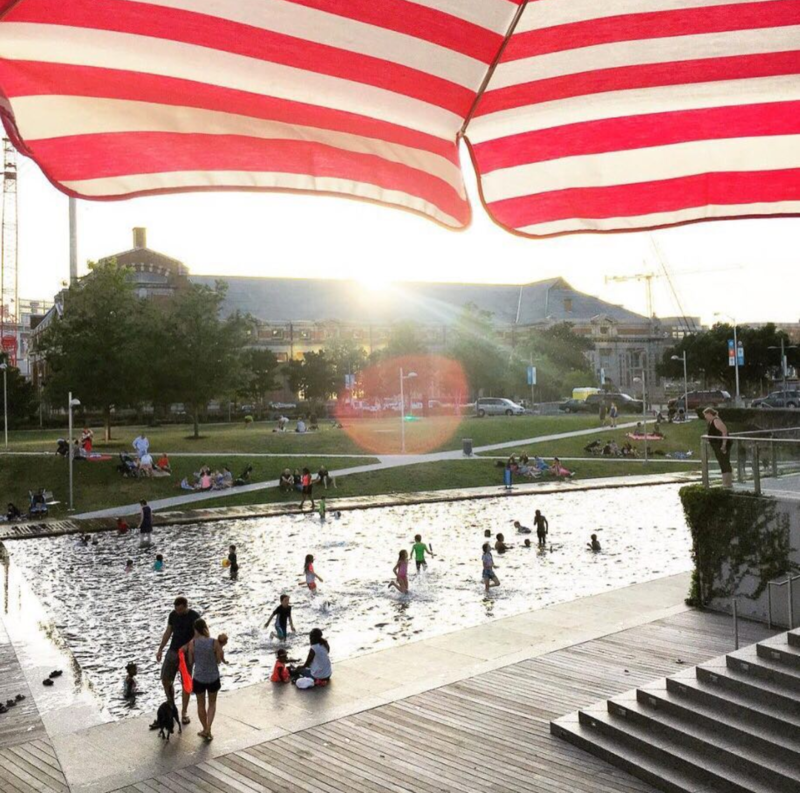 With two more opportunities to join your Capitol Riverfront neighbors this summer, consider setting aside a few hours for some Wednesday night fun to watch the Mike McHenry Trio rock out on August 2nd, or Zach Cutler strum some soul on September 5th. Anacostia Watershed Society Canoe Trip: Can you call yourself a Navy Yard resident if you haven’t done any Anacostia River exploring? If you’re interested in an evening on the water, these two-hour guided trips that delve into the natural and cultural history of the Anacostia are for you. Intrigued? Register for a Thursday night tour here. Join Urbanstems on Saturday, August 5th from 4-5PM or 6-7PM in Yards Park for a lesson in bouquet arranging and flower crown-making from their choicest foliage experts. Added perk: you get to take home your very own masterpiece to show off to your friends and family. Zumba with Balance Gym: Looking to stay active and get outdoors during the remainder of the summer? Show off your dance skills at free Balance Gym-led Zumba classes on Wednesday mornings from 7-8AM. Never tried Zumba? Don’t sweat it. These Latin moves are easy-to-follow and make for a dynamic workout for both beginners and dance aficionados. Pacers Social Runs: If dancing or mornings aren’t your thing, the Capitol Riverfront also offers a number of free alternative workout classes and evening training options. Find your stride on Tuesday, Wednesday, or Thursday nights for instance, by convening with other local runners at Pacers Social Runs for anything from a casual to a brisk jog. Runners meet at the Navy Yard Pacers Running location on Tingey Street, and are welcome to leave their personal belongings at the store during their run. Nationals Games: We can’t forget about one of our favorite advantages of our Navy Yard location, the ballpark! Nothing says summer quite like baseball, and we don’t plan on missing out on any opportunity to show our #Natitude. Check out the list of home games and make sure to squeeze one into your busy schedule before the season’s through.